Nearly 500 Riders Visit State Capitol, Madison, Wisconsin | Hupy and Abraham, S.C.
March 4, 2008, was this year’s annual lobby day for ABATE of Wisconsin. With the recent recommendation for universal helmet laws put forth by the National Transportation Safety Board (NTSB), ABATE decided to invite as many members as possible to speak to their elected representatives. Nearly 500 riders answered the call to service and every state assembly person and senator was contacted. The logistical achievement of getting constituents to the right office was a tribute to the hard work and dedication of ABATE’s regional officers and legislative committee members. The halls of the capitol building were a sea of black leather and blue jeans. 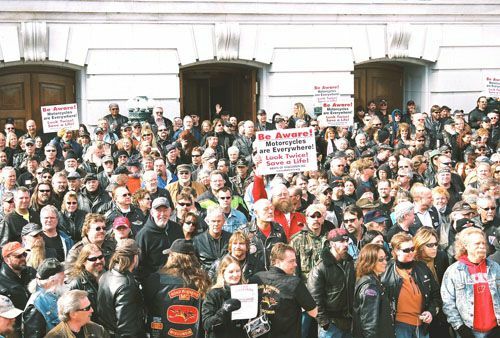 At least 13 motorcycle clubs sent delegates also, in support of ABATE’s legislative agenda and to offer some insight into what the clubs considered important issues to them. 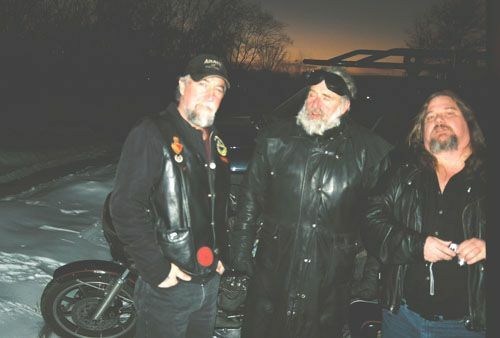 For those riders not riding the buses, the CC Riders motorcycle club, based in Madison, offered their clubhouse parking lot as a place to park for free and they had members shuttle riders to the capitol to lobby and picked them up on a regular schedule. The whole experience was professionally administered. The most important issues on ABATE’s agenda were the discriminatory practices of insurance companies in refusing health care benefits to anyone injured in a motorcycle accident, and the application of increased penalties for right of way violators who injure a motorcyclist. The fact that the helmet issue is a state’s rights issue and should not be championed by a federal agency was stressed in every legislator’s office. We found no support for any type of helmet legislation in Wisconsin among our elected officials.